Could EFT Be An Effective Treatment Of Asthma? 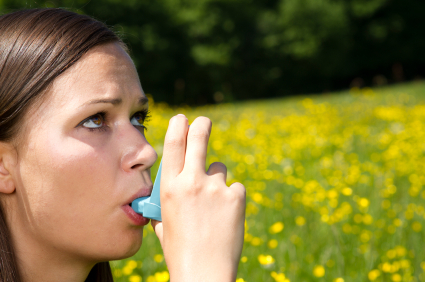 Asthma attacks can be and often are triggered by emotions. Thousand of years ago, Hippocrates, the father of medicine said that people with what we now call asthma should stay away from strong emotions. Even joyful emotions can trigger an attack for some people and leave them gasping for air, not to mention stress and anxiety which are well know as triggers. Even a tearful movie can trigger an attack in some people. It’s been said that the original attack happened when the sufferer was under stress. Once is all it takes to develop a habitual response to something when there is strong emotion present and there is much strong emotion present when a child is unable to breath. The resulting fear and panic that ensues burns the problem into the physiology and then whenever any trigger occurs the pattern, once established runs it’s course. EFT is an emotional pattern interrupt and it has the ability to corrupt the program no matter how longstanding it is. The medical opinion is that emotional factors such as stress can aggravate or even trigger asthma attacks. They do not consider that unresolved emotional factors could be the cause. EFT however treats asthma strictly from the emotional point of view clients who use EFT often report amazing improvement within minutes. In about 80 percent of subjects the tightness in the chest, the wheezing and the congestion becomes noticeably less within minutes. Its been well docutmented that some people have got complete relief from an attack in as little as three or four minutes. This has been achieved without the aid of medication or inhalers. EFT has been described as Acupuncture for the emotions, without the needles. IN stead of using needles certain acupressure points are stimulated while the attack is present or while thinking of having an attack. EFT has spread rapidly around the globe since it’s conception and more and more therapists are learning it and using it alongside their regular therapies. It is also being used by lay persons in countries all over the world. It’s so easy and so effective that those who don’t know it or use it are behind the times. Many of those who have benefited from EFT have made the decision to learn the basics so that they can help themselves and their family and friends. It’s easy to join a one day beginners workshop which gives all the grounding needed to use EFT effectively in 70% of cases. Complex issues are best dealt with while using professional help but the beginner can do no harm and may enjoy great success with the removal of headaches, fears, phobias, nerves, stress and many other things. EFT is a perfect skill for mothers and it can be used to combat tiredness and stress and can even be used on crying and sick babies. It is famed for the relief of stress and can cut down on the need for sleepless nights and fraught days. EFT can be used on pets of all sizes, either directly or surrogately. EFT is 100% safe to use; as safe as stroking a loved one’s face to soothe them. Emotional Freedom Technique is becoming more and more main stream and is being used by professionals the world over. It is used extensively in sports psychology and is taught to top sports people who use it to relieve stress and boost sports performance. All problems whether mental, emotional or physical have their roots in the emotions and EFT is the best tool there is for soothing the emotions thereby allowing your body to heal natrually.